Atlanta Marketing Research Company Supports Literacy Action, Inc.
Polaris Marketing Research continues to support Literacy Action, Inc., by attending the Writers for Readers fundraising luncheon. “Literacy Action Inc. is a great organization doing important work improving adult literacy in our community. 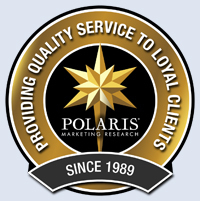 We are proud to support them in any way we can,” said Polaris president and founder, Jan Carlson. Polaris Marketing Research, Inc. (polarismr.com) announced today that it continues its support of Literacy Action Inc. by attending its fundraising luncheon on February 4, 2010. Themed “Writers for Readers,” the luncheon featured a panel of Pulitzer Prize-winners including Hank Klibanoff (2009 History) and Natasha Trethewey (1009 Drama.) The luncheon was held at the Atlanta History Center. Senior vice president of Polaris Marketing Research, Debra Semans, co-chaired the luncheon with Esther Campi of the Metro Atlanta Chamber of Commerce. Polaris staff members Michelle Auda and David Jean Baptiste also attended to host Polaris clients at the luncheon.